Sharks! 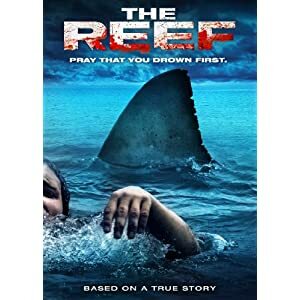 The Reef has a very simple story: five people find themselves stranded in the sea somewhere off the continent of Australia. Oh, and they're in shark infested waters. Now they need to make a tough choice for survival - swim and try to reach dry land, or stay on the wrecked boat and hope for a rescue. Oh yes, there will be blood. This film is very gripping and intense. Its director, Andrew Traucki, made sure that by watching his film you will feel the terror that the characters are feeling. Get ready for pure terror with The Reef!